Catalog with Prices e-mailed within several hours! 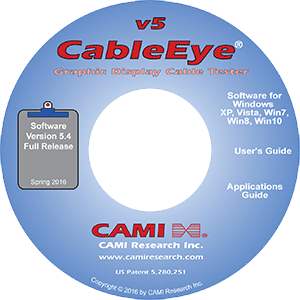 To request a Catalog with Prices, Product Literature or a quote, send us an e-mail with your full contact information to quote@camiresearch.com, or fill the form below. We will e-mail you an acknowledgment, including a copy of the catalog, within several hours of your request (7:00am-5:30pm eastern time) and mail your literature and CD by 1st class mail at the next postal pickup. Please list the items to be quoted and, if you are an existing customer, the S/N of the tester for which the items are intended. We will e-mail you an acknowledgment, including a copy of the catalog, within several hours of your request (7:00am-5:30pm eastern time) and email your quote within one business day. Privacy Statement: Neither your e-mail address nor other information you provide here will be given or sold to any third party. We respect your privacy and will not send unsolicited e-mail! Name: Company: Address 1: Address 2: City: State: ZIP: Country: Telephone: Extension: e-mail: I'm interested in a free 2 week demo unit. If you have any immediate questions about the product or prices, please call us, or use the online live chat to the lower left of this page; one of our engineers would be pleased to speak with you about CableEye.